Listen to a killer set by Theo Parrish, recorded live at Albert Hall, Woodstock on September 29, 2010. Theo Parrish’s biography forges an allegiance between to two of the great American house dynasties. He was raised in Chicago but settled in Detroit. So Chicago’s murky, atmospheric soulfulness shares space with the fierce intellectualism of Detroit-vintage techno. But for Parrish, techno is a global music, a cross-generic tradition of expansive composition that defines the ritualistically confining house template. Playing vinyl like a self-contained instrument, dissolving the borders between machine music and free form expression, he’s as likely to break out in a deep slamming soul or to skitter-dance across outer-orbit beats as he is to swing or testify Coltrane-style. Like Trane his music strains the bounds of convention, seeking new territories and different sounds. Like Sun Ra he confronts technology and attempts to humanize it, to explore inner as well as outer space. ‘Jazz spawned house music, jazz spawned hip hop, jazz spawned funk and they all reflect back into that,’ he says. Nowhere is this lineage more apparent than on the compositions off his own Sound Signature label, where sonic fragments of jazz, ragas, blues, rock, soul and afrobeat are fused into unheard sounds, fictional sonic sculptures of impossible future musics. 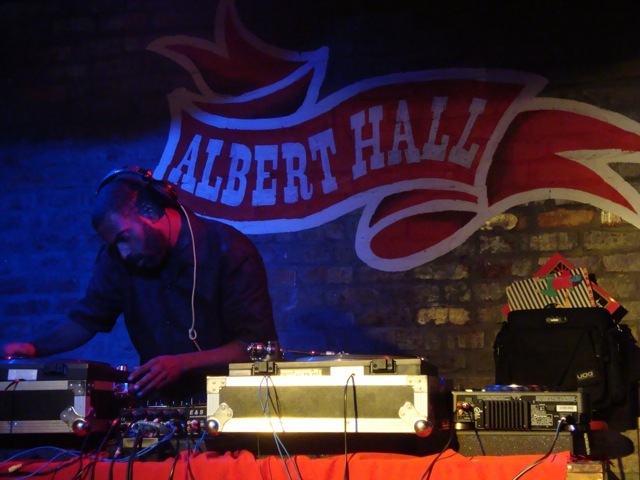 Category: Pass Blog | Tags: Albert Hall, Theo Parrish | Bookmark: permalink.